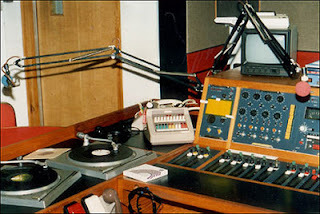 As I wheeled an old Revox tape machine home for its quiet retirement in my back bedroom, it struck me how much more physical life in radio once was. These machines are hefty beasts. Even heftier when accompanied by a pile of necessary 10 1/2" spools bulging with 1/4" tape. To keep an hour of output demanded a whole hefty metal spool full. I was reminded recently by our Head of Sport, Tom Ross, that sports programmes would be logged on these, and each time a goal was scored, a bit of paper would be inserted at the appropriate point in the take-up spool, so one could swiftly re-wind at the end of the show and copy off the match highlights. Unless a bit of errant stray leader tape obscured the key moment. Then you’d swear. I do not recall any health and safety training with regard to these machines, regardless of the ease with which one might slice one's finger off when hastily rewinding, or trying to stop a spool quickly. I am not the only person to have tech-opped a show with blood dripping from my fingers onto the Formica. Easy to make errors too; like playing the tape at the wrong speed, backwards, or lacing it inside out. The latter was the most difficult to detect if the contents were unfamiliar: a very good friend of mine willingly confesses to having played a Christmas Eve carol concert like that once. Until the tetchy producer called in, rather concerned about the vicar sounding like he was speaking through a sock. It's tough to explain to a generation weaned on software solutions just how complex life was. 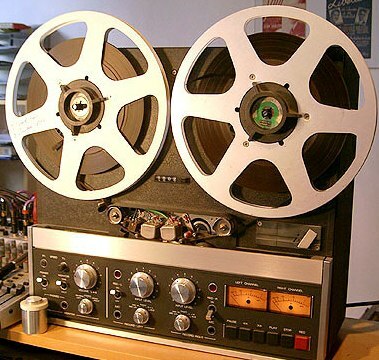 Although multi-track tape machines did exist in early commercial radio days, that significant investment tended to be made only on devices used by commercial and music producers. Programme producers were only deemed worthy of a basic studio, so lesser mortals had to resort to all the tricks of the trade. Witness how much Kenny Everett achieved in his earliest days. Ah, the secrets now, just before they die with our generation. To get more than one 'track', it was a case of mastering on one machine, playing back another, and adding in whatever you could during the dubbing in real-time. Lucky studios were equipped with a third reel-to-reel, or you could, as I often did, open the fader to the studio next door and run round to play in extra stuff. You could, of course, play a spot effect off vinyl, from a cart machine or cassette too. Your own voice could supply the second or subsequent track, mixed in live. Using your own 'multi voice', meant counting yourself in and trying to speak with, or to, yourself. Each 'take' was an exhausting choreographed effort. To get further effects beyond the exhausting performance above, you had to copy the whole thing off again, sacrificing audio quality for complexity, remembering that in those analogue days, quality deteriorated on each dub. Want to phase something? 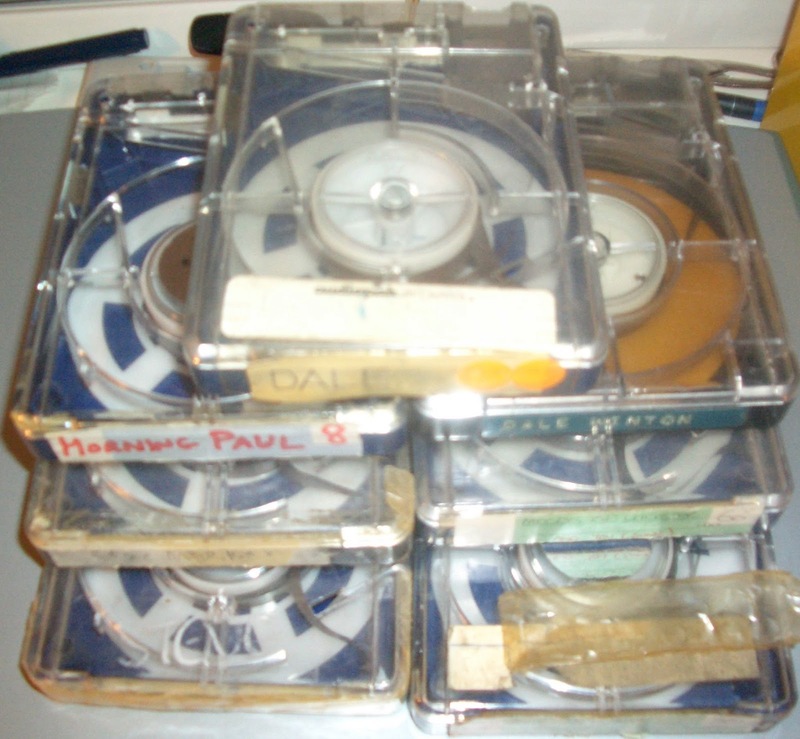 That entailed two copies of the audio, played simultaneously and recorded on a third, with a finger placed on one of the spools every now on again just to slow one copy down slightly. The waveforms would cancel, and lo, the phasing effect. Echo? Fader up on the record machine. Slower, better echo? Play the whole thing at half speed and put the fader up at the end, then return to proper speed. Reverse echo? Turn the tape over so it plays backwards-gobbledegook and echo the end. Which then becomes the beginning. Each edit was painful. An individual cut of the tape with a razor blade; the elements repaired with white splicing tape. An early lesson was to keep the bits you'd chopped out, just in case you needed to rescue them later. Someone assembling a long production piece would have pieces of tape draped all over the studio for later use. supply. 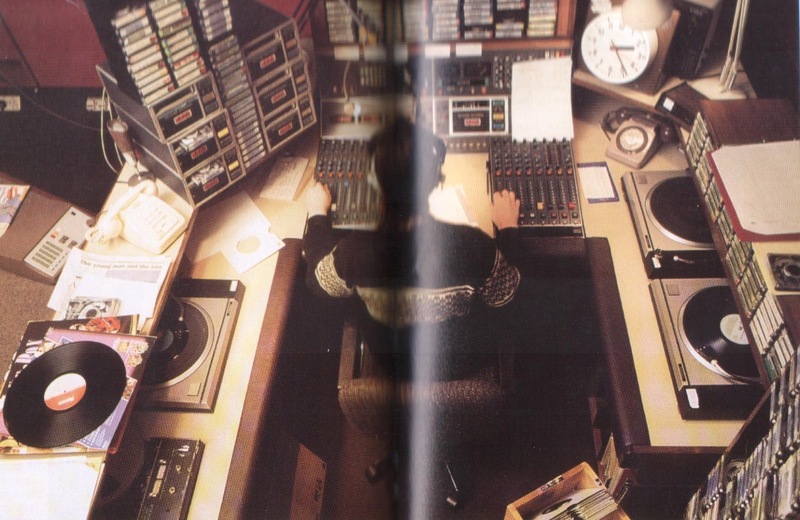 Unlike now, there was no ability to do mixing on your desk PC in the office. Rows about studio time would come to blows, followed by typed memos and new booking systems, followed by more anger when the procedures were ignored. What about that complex production, when a repeated word or syllable was desired - the sort of effect a flick of the wrist can achieve on Protools. This was a case of chopping out each mini-sound, copying. And then again. And then again. Surround yourself with one inch bits of tape and glue them all together. Kenny Everett, of course, was the master. Would digital have made him any better? Or would he have diverted his time into a relentless pursuit of 'perfection'? On his blog, Andy Walmsley dissects just one promo. It all took a very long time, but just maybe back then, we focussed on the big things that made a difference. Now it’s easy to spend sometimes too long on the final polish. Just because you can. On-air, each bit of finished production lived on a tape cart. Having a box of new blank ones to use was a very special treat. One would label the item with care, with coloured stickers or Dymo. Then, once on air, out of a junction, you’d load up the cart machines and fire them all off with a powerful finger push. Complex sequences could mean whipping carts in and out within a ten second item. If you could make a junction more challenging than it already was, you did. Enjoy here a few illustrative 1980s analogue bits of mine I discovered on a decaying spool of Racal Zonal recently. Some crazy multi-tracked-me shouting, talking to myself, and getting very enthusiastic about an £64 giveaway. Enjoy too a little 1980s Dale Winton I recall mixing; a dodgy Thatcher impression; a questionable contest mechanic which involved sticking ‘bugs’ on buses; and a fun Christmas greeting. These were, indeed, the nineteen eighties. Remember. White leader at the front, red at the back. Remember that, or you'll be on tape reclaim as a disciplinary measure. Goodnight. I'm not really sure what animal it is. This slab of brown meat with a bone protruding. Frankly, I dread to think quite how many animals have met their end so that a few hundred award nominees might feast. 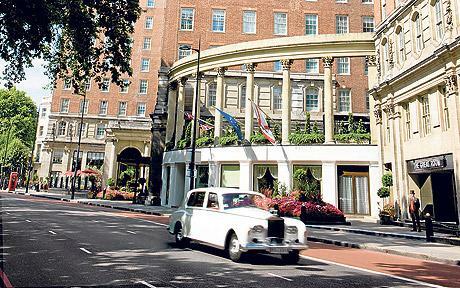 Grosvenor House, London. Nowhere else in the UK can quite so many people be served a simultaneous sit-down meal. It is a remarkable feat watching the scores of smart waiters and waitresses emerge in a choreographed ambush once the signal to eat is given. The Great Room of this dear house, which seats 2,000 and was built as an ice rink, is the venue for the annual Radio Academy Awards, the biggest awards in the radio industry calendar. The sponsor arrangements have changed this year, so we must bite our lip and not say the S word, which is just as tough to accomplish as remembering that your radio has station changed brand. Hoorah, now, for the RAAs. Apart from DAB, Rajar, UK Radio Player and arguing, this is the only time the commercial and BBC sectors do anything together. This is the glittery night for our industry; and we are at our most visual. The women look stunning, in elegant frocks of those distinctive colours to which women attach a qualifying adjective; and blokes just call blue. Or red. Or green. For men, life is simpler, a dark dress suit and bow tie. Unless you are very famous, and you wear jeans. The room is filled with equals. All have produced award-winning radio. Multi-millionaire media moguls and famous judges mix with the spotty guy from an RSL who's never been to London before. Those who thought Park Lane and Mayfair were just Monopoly deeds blink in the spotlights. The little guy from the small station up North has clearly borrowed his evening attire from his tall friend. And as they walk up the red carpet from the street, they feel the momentary glow of pride as photographers briefly stare to establish if they're anyone important. They enter the room calm and grown-up; later groping their favourite celebrity and grinning inanely whilst they persuade a random to take a picture for their mother to see. Princes and paupers unite at adjacent urinals. 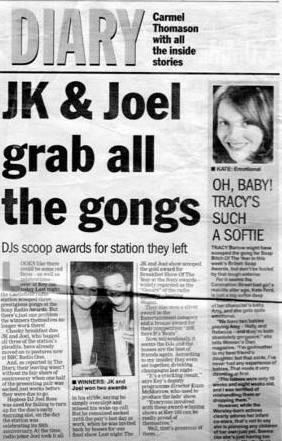 I recall the wonderful JoJo (Capital 105, Yorkshire) once running up to our table, dragging a reluctant judge roughly by her hand and producing her proudly to us like a cat with a mouse: 'I've found my hero', she shrieked, 'Moira Stuart'. 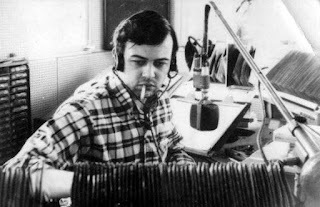 We grew accustomed to the accomplished compering of the bulging Paul Gambaccini. Each year, he sought to keep the ceremony shorter and shorter as the list of categories grew longer and longer. More recently, Chris Evans has filled his shoes, but not yet his shirt. It is, though, the gig from hell. Nothing is worse that being a performer in front of performers. Not least as the latter drink more and more. Whether drowning their sorrows or celebrating victory the result is indistinguishable. But colleagues who've been daggers drawn for years throw their arms round each other and confess they love each other really. Everybody loves everybody on awards night. Over the years, a little like the Brits, there are those 'moments'. The speech by Mark Story was but one, as he claimed his much-deserved accolade for co-ordinating 'Radio Aid'. The list of those invited to present the awards over the years has been impressive, from Elton John and Dame Edna; to the great journalists and characters who've led truly remarkable lives. Each descends dramatically the grand staircase. As a judge, one is offered a complimentary seat, which you can request be on a table of station colleagues, or with the randoms with whom you judged your category. There is indeed, however, no such thing as a free lunch. Judging is a helluva job. Not least when you are tasked with arbitrating, as I have been in the past, on a speech radio category, where each entry is hours long. Thankfully, the technology has moved on, and what was once a cardboard box of tape cassettes or mini-disks became a loaded MP3 player. As the devices were generously allowed to be retained, those of us who have judged over the years have amassed a museum of the whole 1983 -2013 Sony range of player formats from the Walkman onwards. Now, well we just get a USB stick. As each category is announced, unspoken rules are followed. You clap and cheer wildly for your own station, stations you once worked at, stations you respect, and stations which employ people you like. Clapping volume determined by the order in that list. You merely clap politely for the others, unless you're talking to a friend or forget. You shake your head and cluck at bizarre judges' decisions. You try to keep relatively quiet and respectful overall; in the knowledge that a women from Radio 3 on the adjacent table will tell you to ssssshhh if you do not. Note the embarrassment and cheers too, as a recently 'axed' programme or station is lauded, as it inevitably is. My only personal trophy is damaged. Amidst my excitement, I dropped it running to the local paper for a photo call. It's likely not the only trophy damaged or lost over the years in 'excitement'. 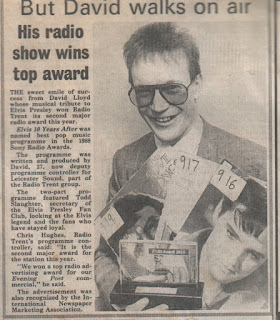 That was nearly thirty ago, although I've shared much vicarious pride in station awards since then. All these years on, I still remember the moment of announcement, wending my way from a far table to the stage, hoping the applause would not lapse en route. It's a bloody long way. By the way, it's an urban myth that there's a relationship between where you are seated and whether you are the victor or not. If you are there at the ceremony; or you've been nominated for the Arqiva commercial radio awards later this year; or you're looking forward to the BBC local radio Gillard awards or the Student Radio Awards, good luck. You'll never forget it. It's the one time when this quiet, intimate medium gets the public applause it deserves. A final word of thanks to Sony for being a great sponsor for decades. We appreciated it. And the warmest of welcomes to blinkbox music, PPL, PRS for Music, RCS and SGPB Hambros for taking the baton of the awards ceremony which recognises the finest medium of them all. So, the walls did not come crumbling down at BBC Local Radio. After much heat and noise, this much-loved web of stations has survived, largely unscathed. We do now have an evening show beamed across our fair Isles, but apart from that, the listener has been largely unaffected. And, on the whole, so has the modus operandi of most stations. Good news for the listener? No. The day of reckoning has just been postponed. These stations remain over-expensive to run. Many are still inefficient; sometimes not in terms of those who work wholly on content, but more frequently in terms of management and operations. The points I made in a blog almost two years ago, which appeared to receive thousands of reads and many quiet nods from my friends at the Corporation, remain largely relevant, even following the delicate slice of cuts. 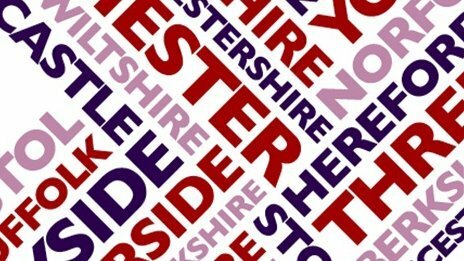 As do the points I made in the report I was invited to assemble for RadioCentre, commercial radio's trade body, for inclusion within its representations to the BBC Trust review of BBC Local Radio. Some BBC local stations still feel the need for Managing Editors, Assistant Editors, a clutch of Senior Broadcast Journalists; and other individuals in puzzling posts. And a large number of regional managers (HRLPs) remain in their leathern chairs. 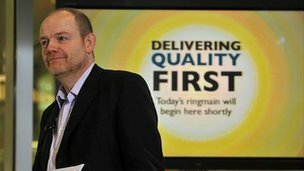 There was a flurry of management departures in BBC Local Radio, although many of those individuals appear to have been replaced by other individuals in the same post. BBC Local Radio has saved itself, for now, but has it acted in the long-term interest of its listeners? There is still fat; and indeed areas where listener-facing resource could wisely be boosted, were sensible economies identified elsewhere. Ask any sensible person at the BBC, and they'll still readily recite a catalogue of stories about inefficiency with a resigned shake of the head. Those recitals have now become a BBC sport. The network evening show still puzzles me, just as it puzzles some BBC staff. Let me say I have no issue with Mark Forrest. He's a very good broadcaster, capable of delivering material in an engaging way. I also have no problem with Matthew Bannister's production company 'Wire Free'; indeed, I would gladly protest naked waving a placard if anyone dared to touch Matthew's excellent 'Outlook' (BBC World) or the ever-fascinating 'Last Word' (Radio 4). But, if the goal was cost saving, it's a jolly funny way to go about it. With Mark's own remuneration, topped up with the cost of the BBC liaison post, and iced with the c. £150k fee (later increased, in an addendum) to the production company, I suggest there is not much change from the cost of the evening shows which it replaced. Not least because some of these were already shared across several stations. It is suggested that no cost is incurred by the post-Sachsgate compliance measures. That cannot be the case. If employees are charged with listening in; vetting texts and the such-like, there is a cost. Those people are not doing something else. I was amused to hear Ken Bruce on the Radio Academy podcast talk about his helper in the studio, charged with, inter alia, vetting texts for compliance reasons. I rather wonder whether the great Ken might smile sweetly over a glass of wine and suggest that he's probably capable of working out which texts to read out and which not to, just as he'd managed to work out which words to utter live from his mouth during his impressive 35 year career. I'm pleased AM transmission costs have been reviewed, as I suggested in 2008. I hope there's now a medium- term plan in place to rationalise the property portfolio; and install stations in efficient accommodation. I hope staff absence levels have now fallen. I hope that a fresh case is made for every single vacancy whenever it arises naturally; and that fair, necessary, legal redundancy is accepted by all parties when it is needed. As it sadly sometimes is. I hope that managers are brave enough to assemble a colourful Excel spreadsheet on which their own role is absent. I hope that recruitment is being done more sensibly. I hope the BBC manages to wend a way safely between establishing what is bullying and what is much-needed, sensible. fair, performance management. In the current BBC climate, frankly I have genuine sympathy for those managers trying to sustain the right line just there now. It's become tougher than ever for them to put the cork back in the BBC bottle. This rich network of valued stations is too valuable to lie vulnerable to the next round of cuts because senior management fail to seize the initiative to run them economically. Commercial radio is finding it increasingly tough to make a living out of local format stations in smaller markets; BBC local radio has both an opportunity and a duty. Some BBC local stations are once again now just finding a confident place in their markets; and one can hear that on-air. These are the only radio stations in the country charged with serving over 55s; and, given population shifts, that duty is an important one. I write this not because I wish BBC local radio to suffer. I write in because it must not. Circumstances will, in time, dictate that further cuts be made. Let's not save them up and make a song and dance about them next time, so they become impossible to introduce. Senior management must act now, day by day, in all they do and the decisions they take, to preserve the stations and not self-serve. That's doing what licence-payers pay them to do: to manage this operation efficiently.